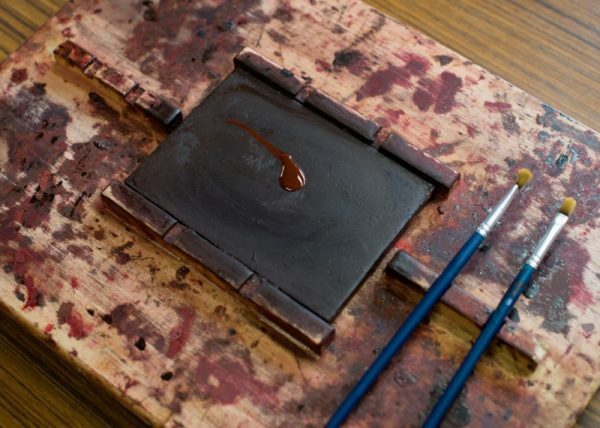 Ouchi-nuri, a traditional craft that has been around for hundreds of years, is the beautiful art of lacquer painting. 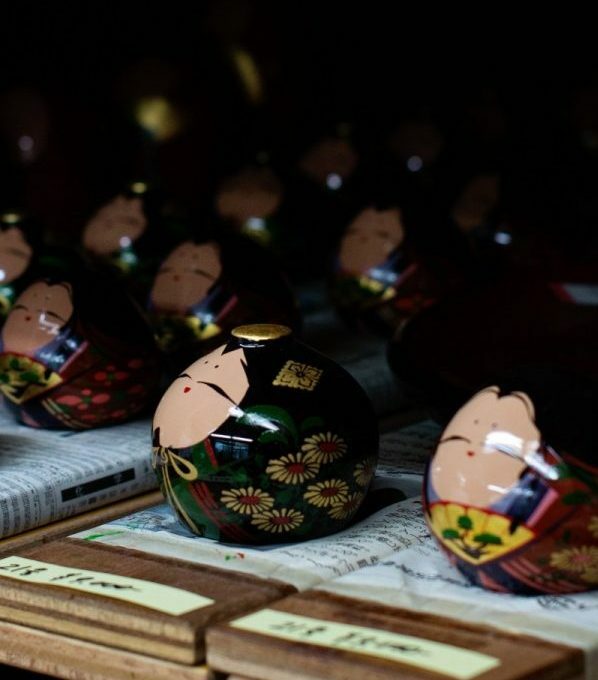 Yamaguchi City is known for their Ouchi Dolls, which are wooden dolls that are elegantly painted with lacquer. 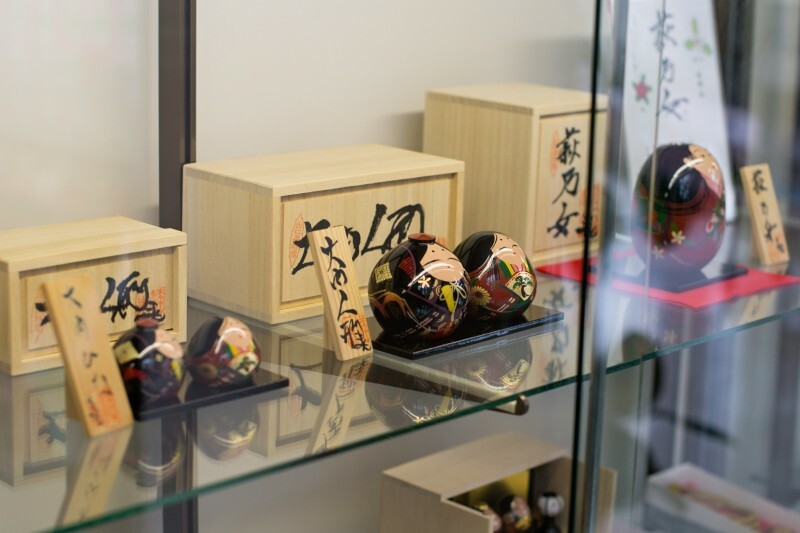 While the dolls are the more traditional items, there are other beautifully lacquered items that are also functional, such as bowls and tea leaf containers. In Yamaguchi City, there is a place where you can experience lacquer painting by painting a set of chopsticks. 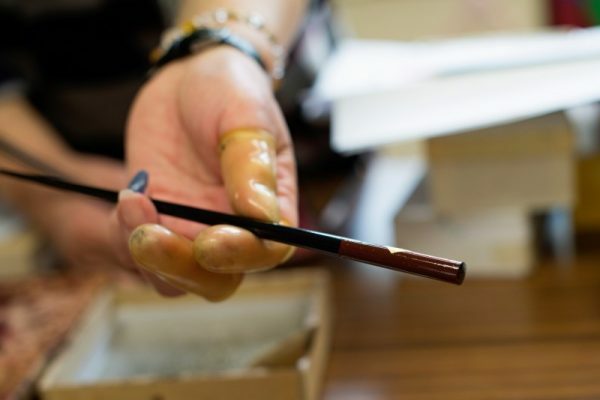 I visited the Yamaguchi Furusato Heritage Center to paint my own pair of chopsticks and find out a little bit more about this wonderful craft. It was a great experience and while the instructor didn’t really speak much English, she demonstrated each step for me so I would know exactly what I needed to do. After I picked out my chopsticks, I got to paint them and then decorate them with gold flakes. The entire process from start to finish was less than 30 minutes for me so I still had plenty of time for some sightseeing. Once I was finished, I handed my painted and decorated chopsticks back to the instructor. She advised me it would take about 3 weeks for the finishing process and that I had a choice of returning to pick them up, or paying to have them shipped to me. I chose to have them shipped to me. After I finished up with my chopsticks, I had the wonderful opportunity to speak with Mr. Junji Tomita. 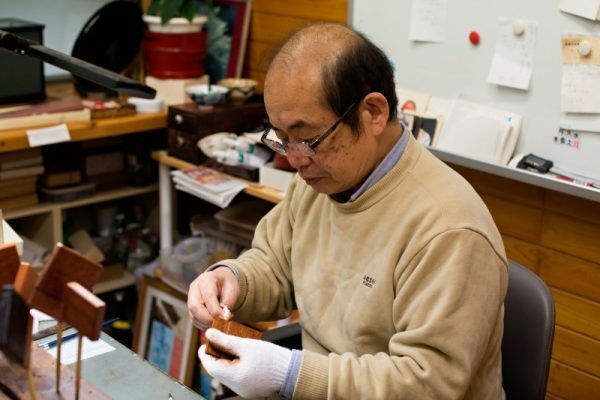 Mr. Tomita is an Ouchi-nuri craftsman who has spent decades creating beautiful Ouchi Dolls and other lacquer pieces. When he explained to me that the dolls can take anywhere from a few months to a few years to complete, depending on the size, I was so surprised. I had no idea that it was such a long process. Mr. Tomita also stated that whenever one of the dolls was completed and sent out, he felt as if he were sending off his child. After chatting with him for a few minutes, I could sense how much he loves what he does and how much of his heart goes into each doll. If you are interested in trying ouchi-nuri, the Yamaguchi Furusato Heritage Center does offer classes for ‎¥860 per person to paint one set of chopsticks. The fee includes the chopsticks, the lacquer paint, and gold flakes. They will ship worldwide, but there is an extra fee to have your chopsticks shipped to you when they are ready. Reservations are required so make sure you call in advance to ensure the preferred date and time are available. Images used in this article are courtesy of Linda Cordes.